On Saturday evening, we headed out for a casual family dinner. 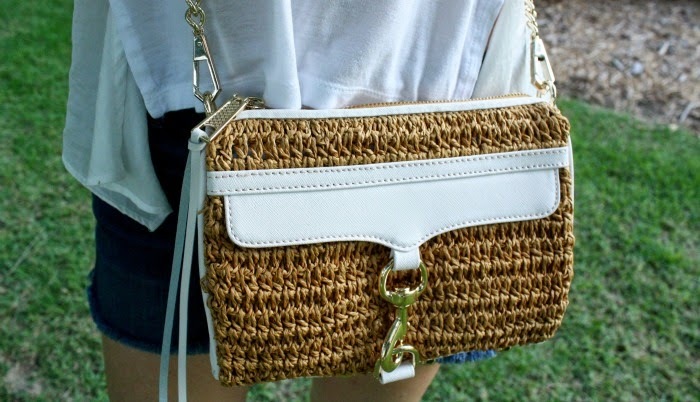 I was happy to wear my new Rebecca Minkoff sandals and handbag from Scout. Let's just call it an early Mother's Day present to me, from me! I love this white T by Alexander Wang t-shirt, also from Scout. It is a few years old but still in good shape. The J Brand cutoffs from Fig are a no brainer. They were a part of my summer uniform last year and it looks like that is not changing anytime soon. I sized up so they are comfy and do not cling. The locket is from ExVoto Vintage. There is a great story behind ExVoto. Check out the website and blog for more information. The owner donates a portion of sales to The Cure Starts Now, a foundation that raises money and awareness for pediatric brain cancer. 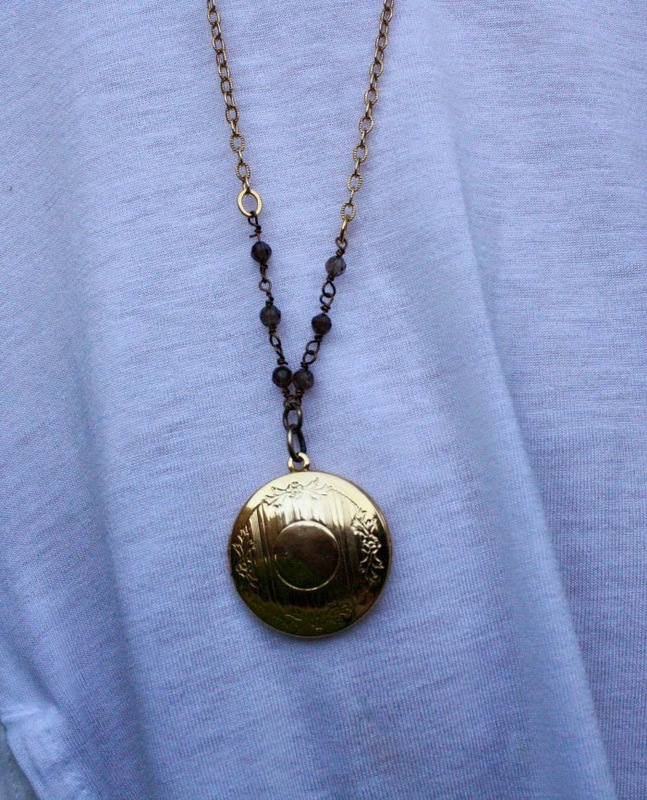 This piece, in particular, is an antique locket. I have a few other pieces from ExVoto and I always get so many compliments when I wear them. Each piece is unique and many are one of a kind. My youngest daughter was our evening entertainment. 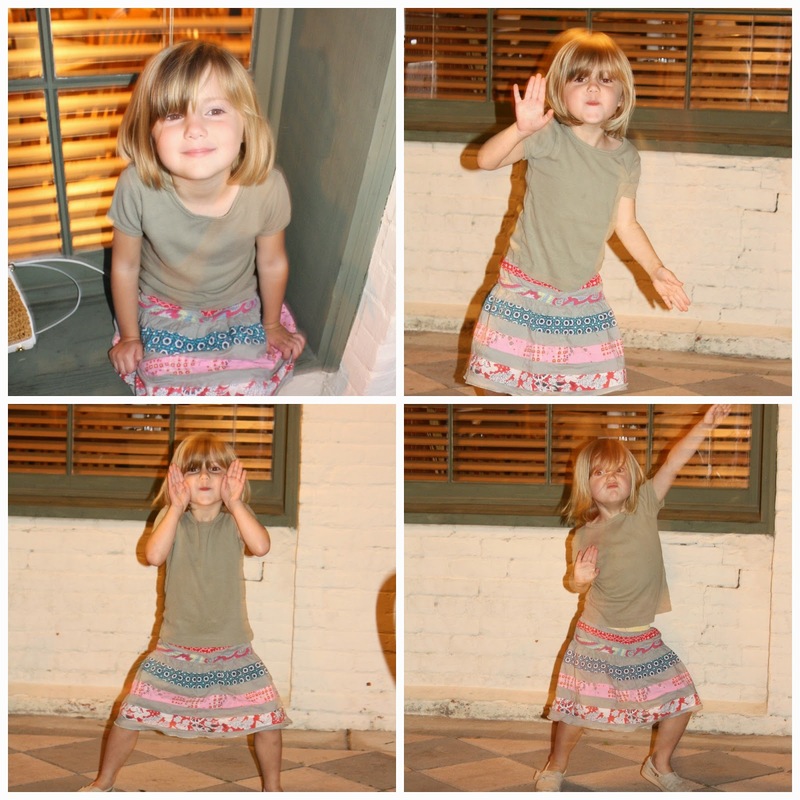 I have included a collage of her showing us her dancing "skills". Also, shop my look at the bottom of this post. Locals, head to Scout for some fabulous spring looks. The Rebecca Minkoff shoes and bags are a great price point. And please do not forget that Mother's Day is next Sunday! 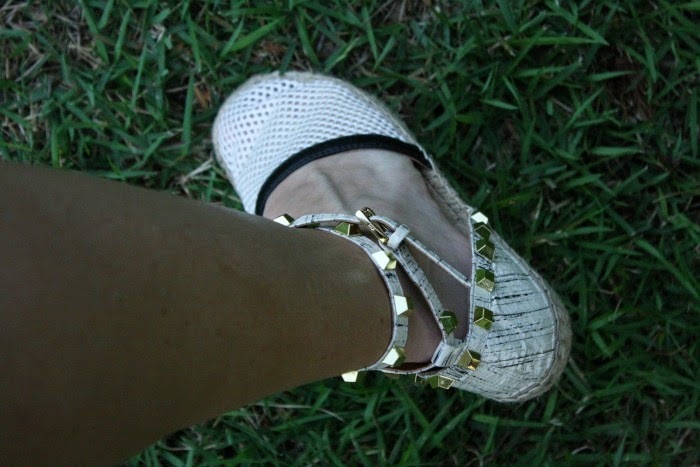 Linking with Pampers and Pearls for Mid-Week muse. Thanks Biana! I was about to buy another shoe and then I saw these. Have a great day! 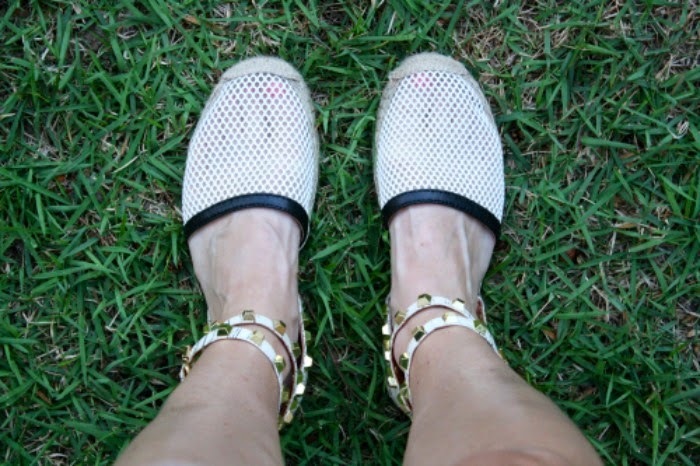 Love your new sandals! Those will be perfect all summer long. Great look! Thank you! And thanks for checking out our blog! Great photos, I love the casual look you put together. 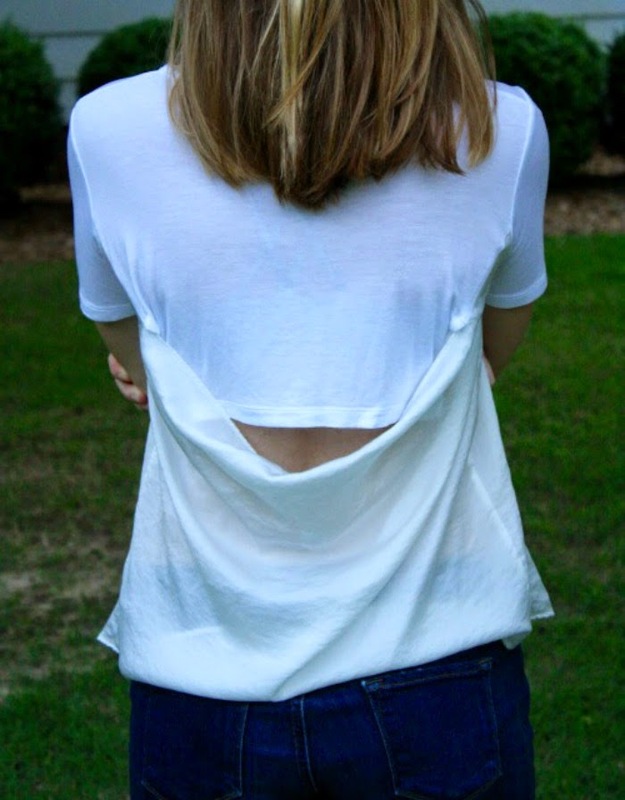 The tee is perfect for the summer, you can dress it up and down! Very cute! Thank you! I love basics with a twist! Thanks for stopping by our blog. Awww, thank you Andrea! Happy Cinco de Mayo!